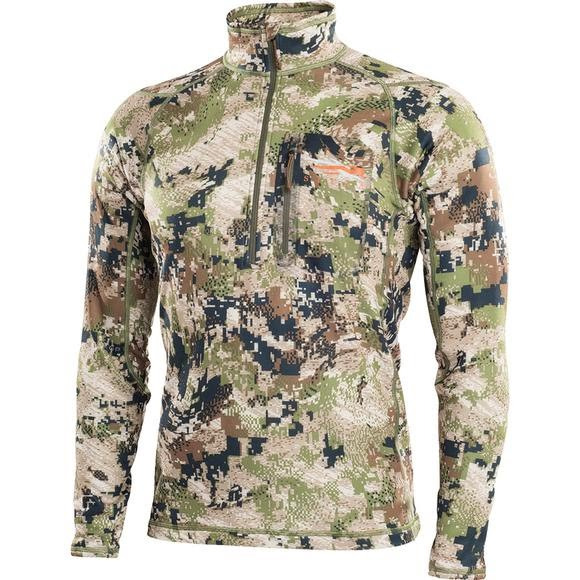 With lofted fleece insulation and a high zippered neck for fine-tuning your microclimate, the Sitka Gear CORE Heavyweight Zip-T keeps you toasty on frigid, low-activity hunts. Permanent Polygiene® Odor Control Technology neutralizes odor by stopping the growth of odor-causing bacteria and fungi. With lofted fleece insulation and a high zippered neck for fine-tuning your microclimate, the Sitka Gear CORE Heavyweight Zip-T keeps you toasty on frigid, low-activity hunts. Permanent Polygiene® Odor Control Technology neutralizes odor by stopping the growth of odor-causing bacteria and fungi. The CORE Heavyweight Series is the next-to-skin foundation for static hunts in cold weather, with a body-mapped grid fleece backer that retains warmth while actively moving moisture away from the skin.